The hieroglyphs are NOT phonetic sounds, and thus were never deciphered by Thomas Young or Jean-François Champollion. Mainstream Egyptology and Khemitology are both derived from the assumption that hieroglyphs should be transliterated into phonetic sounds and thus letters of an alphabet. By doing this each glyph or picture is instead represented by only a few letters, and its original pictographic meaning is lost, thus being open for massive misinterpretations. This method of deciphering the hieroglyphs is used in both Khemitology and mainstream Egyptology for centuries and is an entirely false practice. It has completely corrupted the original sacred texts from their true pictographic meaning. At GodElectric.org no transliteration occurs in the decipherment. This means that there is no room for corruption to creep in by converting sacred glyphs and their corresponding pictures into a few letters of an alphabet, before then converting into another meaning by a scribe. A practice that has been carried out in both Khemitology and Egyptology for a long time, whereby scribes have evidently applied different meanings to the letters based on their own interpretation of an ancient civilization rather than looking at the original picture it represents and the universe. At GodElectric.org sacred carvings and pictures are used in their original pictographic form, this is then correlated exactly to the true physics of the heavens explaining Gods Electricity. Myths are truly the sacred code explaining the physics of the heavens, how Gods Electricity powers the Galaxies, Stars and Planets. 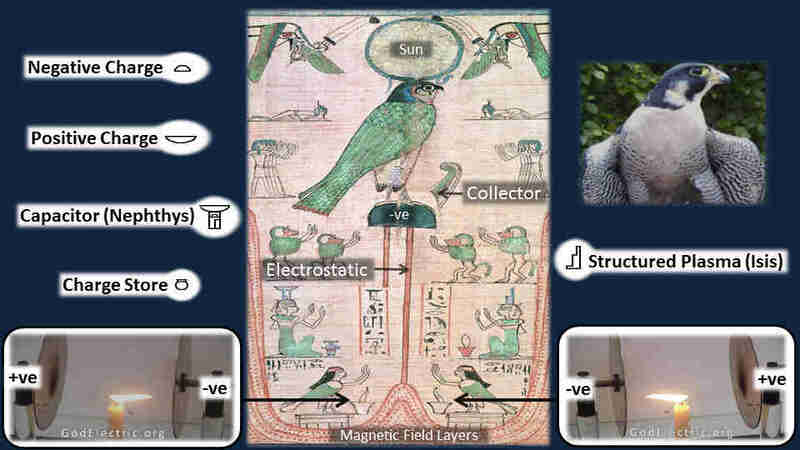 In 2013 GodElectric.org made the breakthrough that was required for this understanding, by successfully deciphering for the first time, Electricity and Magnetism along with other principle components of the Universe as the foundation of the sacred Ancient Egyptian Hieroglyphs. The decoding and unlocking of the sacred hieroglyphs was done whilst being tortured from my true love using mind control technologies, and in the immediate aftermath of the Christchurch Man Made Earthquakes. When Gods Electricity was coupled into, and used to kill and maim the innocent people of that city for greed. By discovering the true meaning of the hieroglyphs and how they explain electricity in the universe, many hidden truths about the Pyramids are revealed, and the true nature of how negative charge as the female nourishment to an Electric Cosmos is explained. It is conclusive proof that we are not alone in the Universe, and that higher order Supreme Beings have supported life here on Earth through electric discharge. Egyptian hieroglyphs are sacred carvings from God. Special characteristics of the animals and plants on Earth are used to explain functions and natural principles of the Universe. The deities themselves are NOT Gods, and are never described as such on this website. Truthfully they are anthropomorphic representations that explain the truth of Electricity in the Cosmos. Hapi is an exception, being male but with female breasts he is a process that provides the electric nourishment of the cosmos, known as the Birkeland Current. The hieroglyphs explain how Gods Electricity flows through the cosmos supporting life, powering Galaxies, Stars and Planets. Mainstream science largely ignores electricity and uses gravity to explain the processes of the Universe, this leads to the creation of mathematical assumptions such as dark matter, dark energy and black holes. The Egyptian hieroglyphs explain that this is not true, because the Universe and the Stars are electric, powered by Gods Electricity. GodElectric began deciphering the hieroglyphs by placing the Winged Sun next to a typical visible hour glass nebula representing an anode star. Hieroglyphs that previously meant 'God' and 'Bread' now mean 'Positive charge' and 'Negative charge' respectively, giving a completely true understanding to Egyptology and the Universe, opening a new chapter for all of mankind. An example of a Binary Star : Butterfly Nebula M2-9 alongside the Winged Sun. The symbol has also been found in the records of ancient cultures residing in various regions of South America as well as Australia. The Sun’s plasma environment is shaped by powerful electromagnetic forces within a spiral arm of the Milky Way. The Suns plasma wing aligns within the galactic arms magnetic field carrying current along Nut, and as a collector of electrical energy from the arm it powers our Sun. It acts like a wing but rather than air it focuses electrical current described by Amentet to the anodic positively charged Sun. Stars are not isolated thermonuclear reactions in space, instead Ralph Juergens explained that Stars are positive anodes in a galactic glow discharge. Stars are connected, they absorb energy from the Electric Universe, and this is explained in detail by the Ancient Egyptian hieroglyphs. 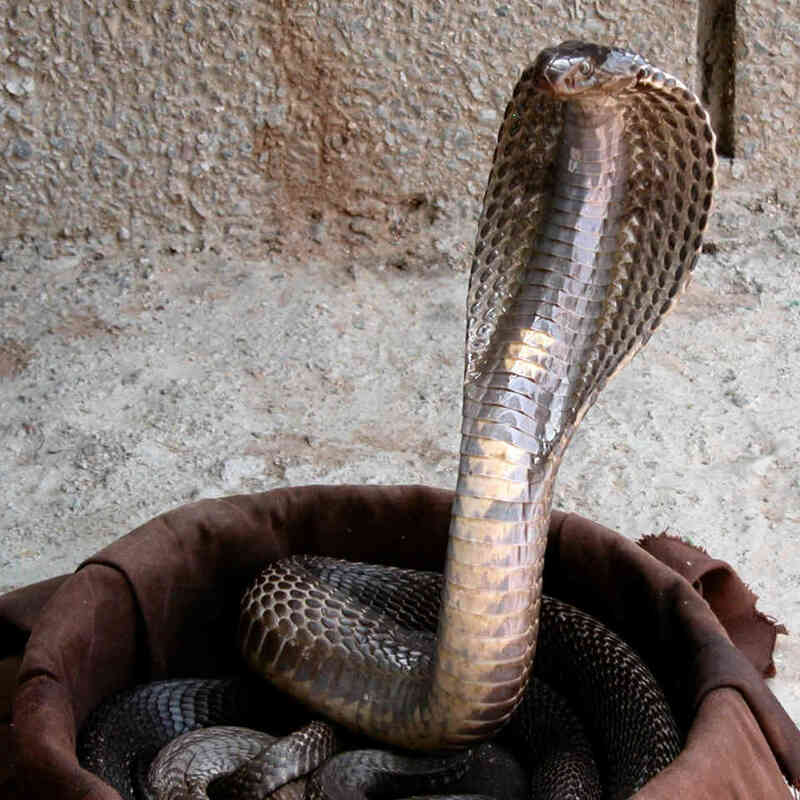 The cobra or snake, with its ectotherm nature was used to encircle the Sun as the corona, seen as Ra it describes the reverse temperature gradient of Electric stars and absorption of Energy from the surrounding cosmos. Ra-Horakhty papyrus explains how stars are powered by the collection of negative charge or what we understand as electrons. It depicts the negative electrode attracting positive ions in the partially ionized plasma of a candle flame. Previously defined as God or basket, this hieroglyph actually means 'positive charge'. The pendant to the right demonstrates how the Sun is connected electrically. 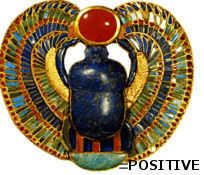 Kheprer the Scarab Beetle is shown supported by the 'many positive charges', or positive anodes meaning the stars. 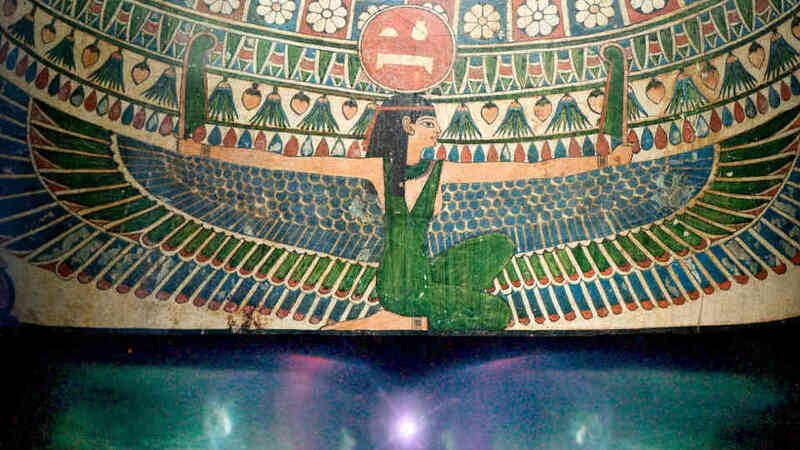 He is connected to the plasma wing, showing that the plasma wing conducts electricity towards the Sun, explained by the hieroglyphs as the 'Suns collector of projected conduction'. Previously defined as meaning Bread, it is the opposite side of the circle to positive charge, thus logically it means 'negative charge'. This is confirmed because Stars are positively charged anodes, they collect negative charge as opposite charges attract. This is explained in many ancient texts, such as the Sun Cartouche shown to the left or Horus and Amentet, where the hieroglyphs describe the sun as a negative charge collector. Another example of ancient text confirming negative charge is Tefnut, similar principle to Svensmark theory it explains how negative charge is used for the creation of moisture in an Electric Universe. Nephthys shows both hieroglyphs for positive and negative charge separated by an enclosure, defining the capacitor action of celestial bodies in the Electric Universe which Set acts through. Anubis, previously known as the son of Nephthys, actually exists as the electric field in the space between the positive and negative electrodes. The papyrus Book of the Suns Electric Field which was previously known as 'Book of the Dead' or 'Book of Coming Forth by Day', uses Anubis as the resonant wave of the Suns electric field to explain the Suns Electric Potential, defined by the scales using Thoth. It is also true that the organs in your body absorb energy at the resonant wave of the electric field, which is why Anubis is the only one who would carry out the embalming process. 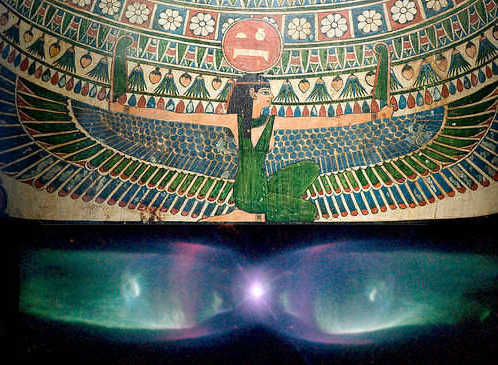 Shu is the plasmasphere, described by the hieroglyphs as the electric field that collects plasma, and is shown atop of Nephthys as the positive charge electrode ionosphere. The principle that underlies all of Egyptology is that the Universe and its circuitry is presented as female, while the processes that protect it are predominantly male. The relationship between the two partners, male and female, explain the current cosmology as underpinned by true love. 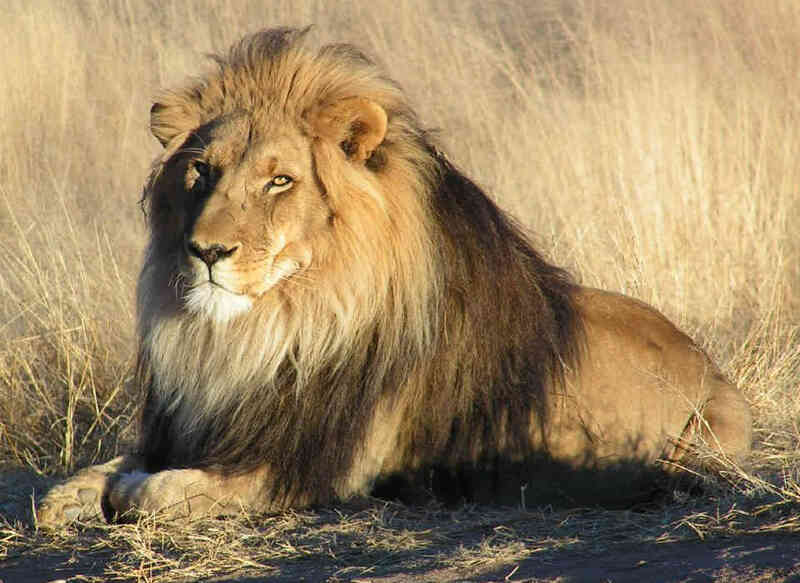 The Lion is one of the loudest animals in the animal kingdom on planet Earth, the Lion has a special vocal cord shaped as a flat square shape, allowing the lion to magnify the sound more efficiently converting lung pressure into acoustic energy. For this reason the special characteristic of the Lion is Magnification. To see how the lion is applied in the hieroglyphs, it is a good idea to begin with Aker, where the Lion is used to describe the dynamics of the Suns solar circuit, and how it connects to the wider galactic circuit. Or you could begin with Sekhmet, where the different animals on the Aegis are used to describe how ejected material from the Sun are 'magnified' due to the stars strong coronal electric field. There is also the Sphinx, where the lions body is used to represent the waveguide of the earth by facing to the east when the Earth is charged using Pyramids. The Ibis is a tactile hunter, its theorised that as well as mechano receptors in its bill the Ibis uses a combination of electro receptors to search for food. 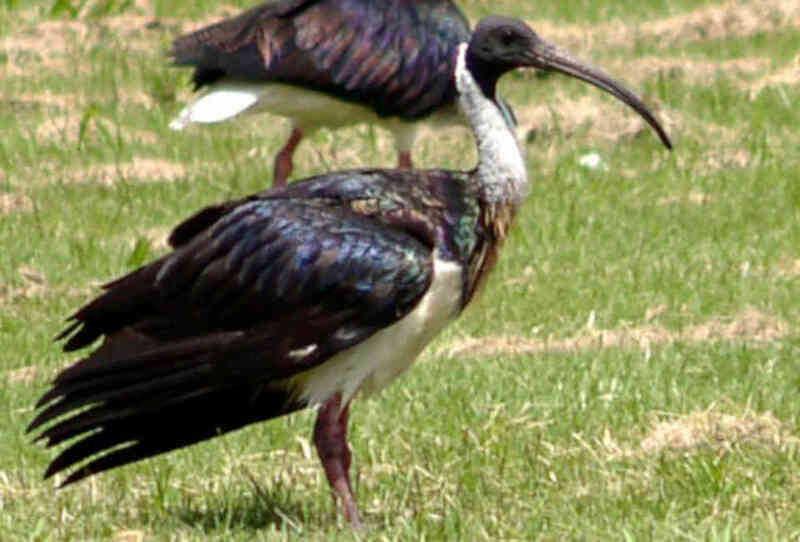 The Ibis bill is therefore similar to the Platypus, when the Ibis is probing the saturated ground in search for food it is able to detect small electrical signals from grubs that live in the ground. Making it possible to probe the saturated ground in search for food. For this reason the special characteristic of the Ibis is its ability to detect the Electric Potential, and is what we humans term Voltage. To learn more about how the Ibis and its true meaning as Electric Potential / Voltage, and how this is applied in the hieroglyphs to explain the universe, see Thoth. 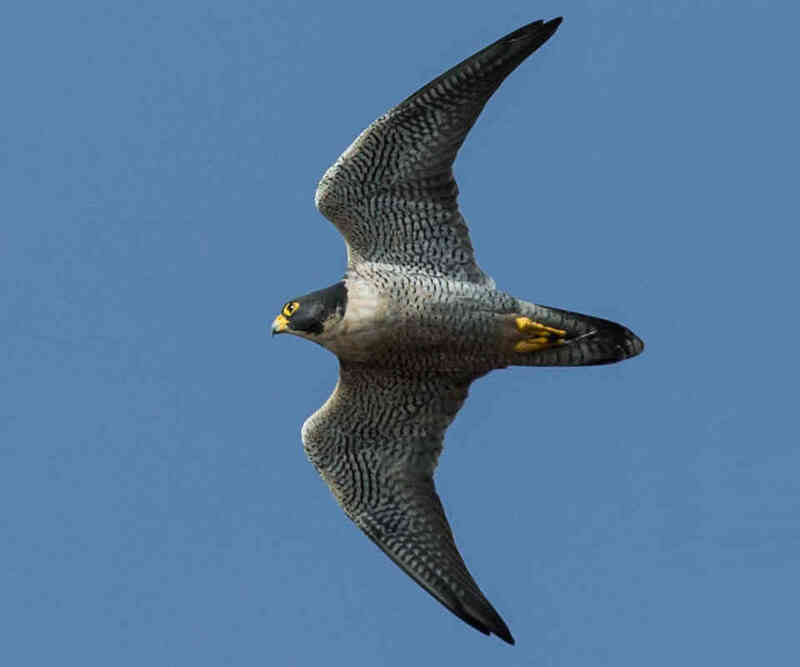 The Peregrine Falcon is the fastest animal on Earth. It is theorized to generate a Strong Electric Field during a manoeuvre called the Stoop, where the bird plummets towards Earth at speeds in excess of 100m/s. See Ra, Horus and Hathor for further information. 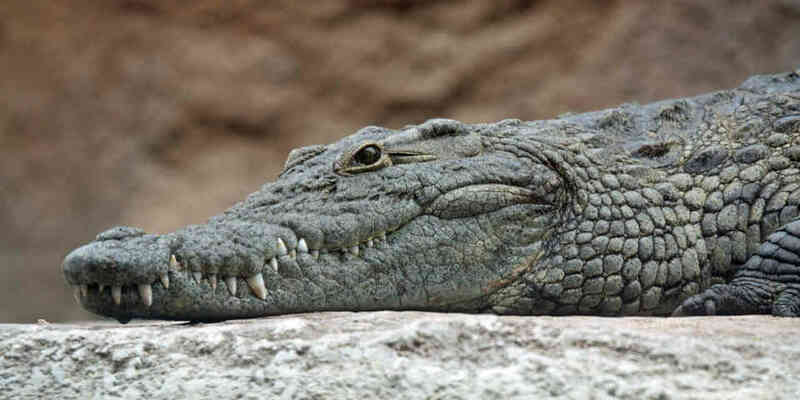 The Crocodile has the largest pinch force measured of any animal on Earth. It is therefore used to describe the Bennett Pinch or Z pinch. The Z Pinch is caused by electrical discharge in plasma, where current flow is compressed inwardly by induced magnetic fields. See Sobek and Ammit for further information about how the Bennett Pinch is used to explain the underlying principle of electric stars. At Kom Ombo Temple, a temple dedicated to both Sobek and Horus, the action of the Bennett Pinch or Z Pinch and the strong electric field explains this in detail. The Cobra is an ecotherm animal, absorbing energy from its surroundings. It is the perfect animal used to describe the dynamics of the Suns Electric Corona and how the sun ejects material (spitting its venom) in the form of solar wind, flares and CME's. See Ra and Sekhmet for further information. 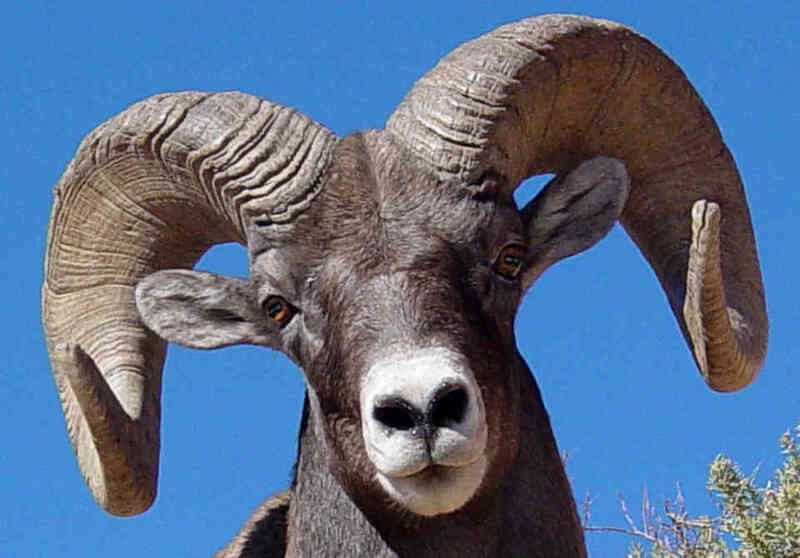 The Ram or male sheep is used to describe a double layer, and the horns represent the corresponding plasma sheath as the defensive shield. See Khnum for further information. The Frog is often positioned adjacent to the vertical measuring palm, a big clue to the animals special characteristic which is its ability to levitate in what is a relatively weak magnetic field of about 10T. 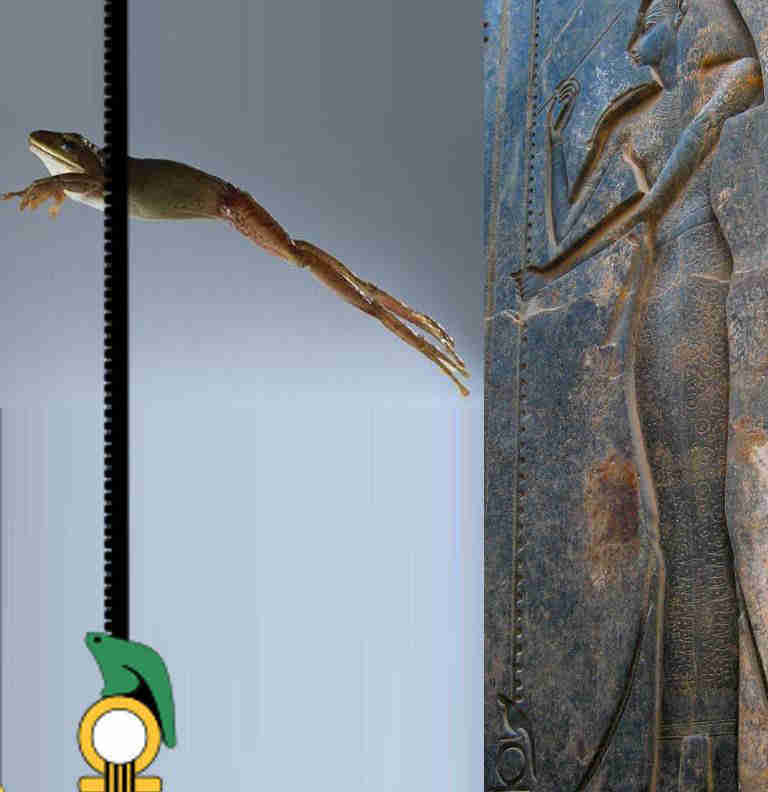 By measuring the height that the Frog can jump using the vertical measuring palm, a measure of the magnetic field is indicated using the hieroglyphs, and thus magnetic field strength is indicated. Today we humans have devised a system to measure the magnetic field in units of Teslas, named after the inventor and engineer Nikola Tesla. See Heqet and Seshat for a further explanation of how the Frog is used in the hieroglyphs, with its unique ability to levitate in what is a relatively weak magnetic field. When combined with Thoth as voltage it gives an indicator of power delivered to stars, as all electric currents (moving charge) generate magnetic fields. 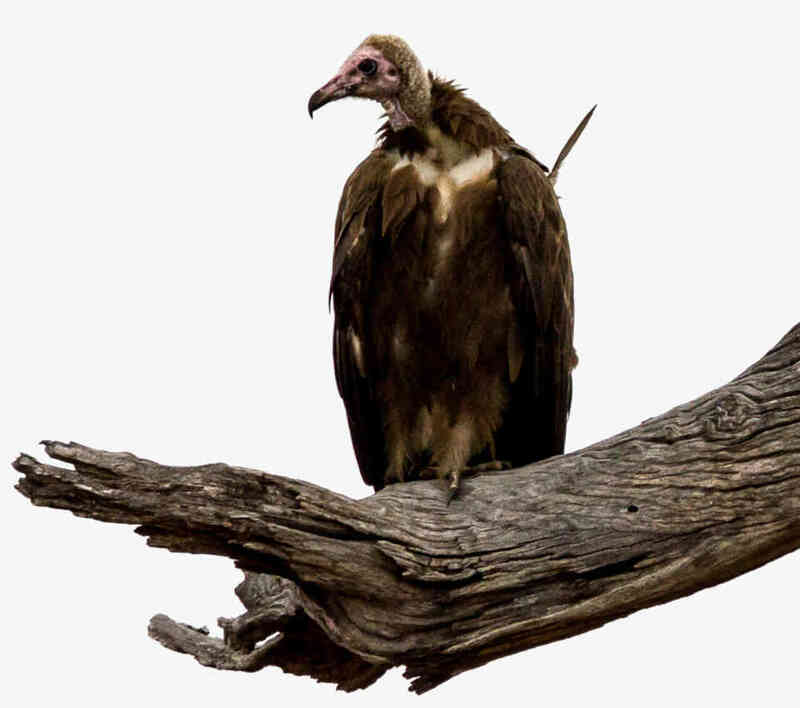 The Vulture is the animal that is used to describe how negative charge is sourced, and searched for in the cosmos. They fly high over the landscape, forming a communication network to detect carrion. See Nefertari, Nekhbet and Mut for a further explanation to how the vulture is used, to describe how negative charge is 'scavenged' from the cosmos using electric fields to then be used to power the electric discharge phenomenon seen as stars. 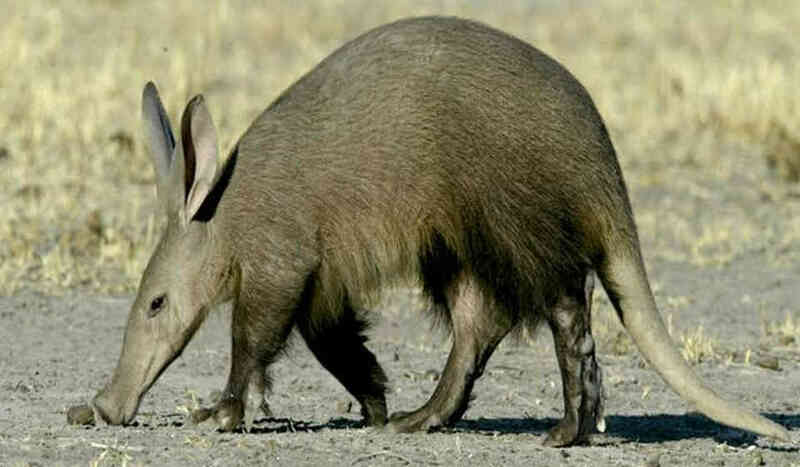 Winds are primarily electrically driven and the dynamics are described by the action of the Aardvark as it feeds and forages for food using suction. For further information see Set. When bees fly through the air, they collide with charged particles, from dust to small molecules. These impacts tear electrons away from their cuticle (their outer shell) and the bee ends up with a positive charge. We’ve known that insect cuticle builds up electric charge since 1929. 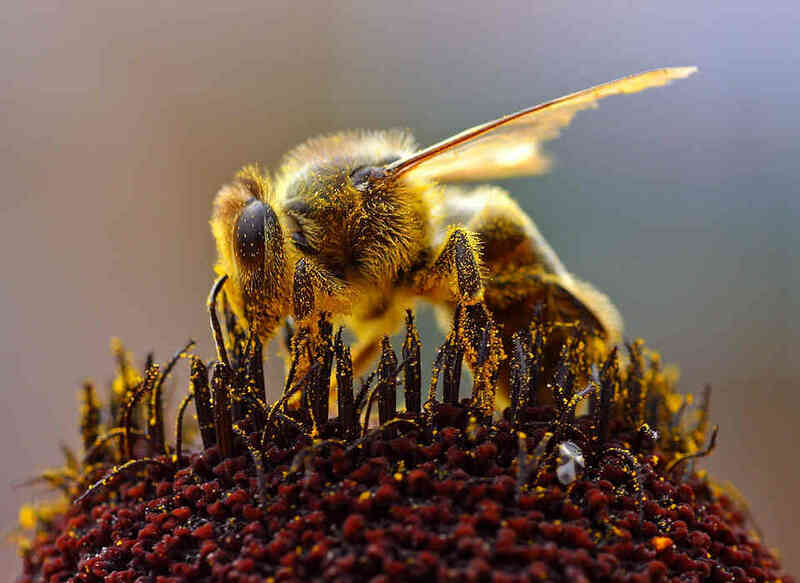 Uwe Greggers from the Free University of Berlin has shown that Bees can detect these fields with the tips of their antennae, with measurements of living Bees producing voltages up to 450 volts. The insects’ waxy cuticles are responsible, they’re so electrically resistant that a substantial charge can build up and stay there. Since the 1960s, scientists have speculated that these charges could be useful during pollination. The Bee is often carved adjacent to the Wheat plant hieroglyph, showing that there is an underlying principle in the method of pollination. When bees approach the plant, pollen can actually fly through the air to their bodies due to charge differential between the Bee and the Plant. This is why the Bee hieroglyph means extraction. 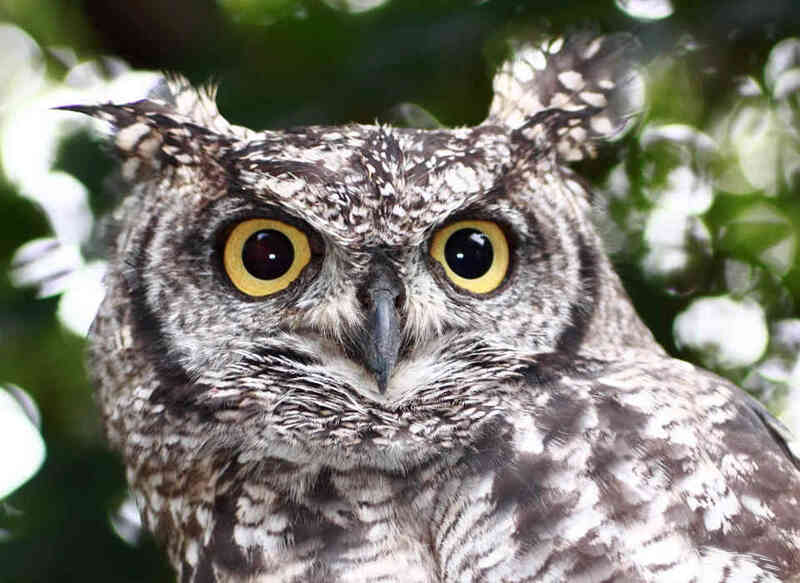 The Owl has extraordinary eyesight, believed to be the best nightvision in the animal kingdom on planet earth. The Owl is used when naming the composite animal Ammit,to describe how negative charge 'seeks' toward the stellar Z Pinch. Or when a leader seeks to discharge an electric field via a plasma connection, as when naming Shezmu. The Jackal is a sub-species of the grey wolf, and has an extraordinary ability to be able to return home within large home range. 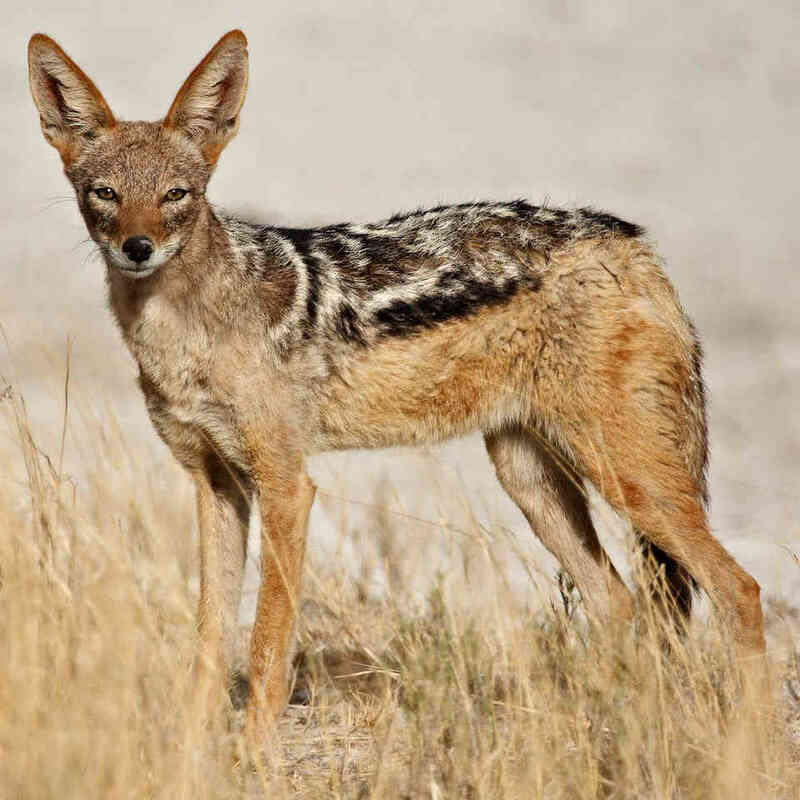 The science has not yet revealed how this animal achieves its special ability, however the hieroglyphs for Anubis tell us that the Jackal is using resonant oscillations of an electric field. See Anubis for further information. 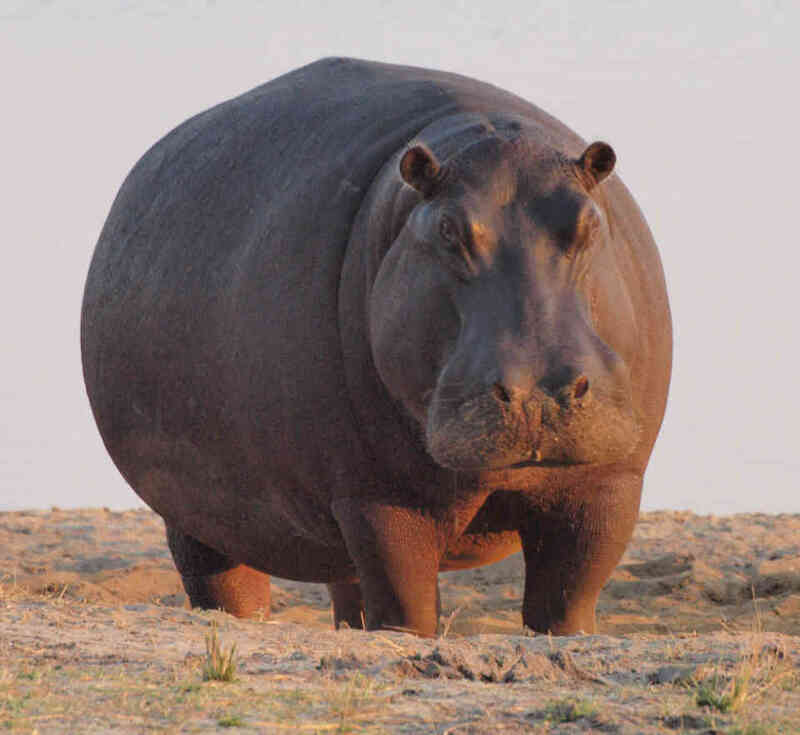 Hippos consume on average some 40-68kg of vegetation per night, and have the largest mouths of any land animal and the secondlargest mouth of any animal of the planet (after the whales). Because of their big barrel shaped body, and enormous mouth they are perfect for representing the function of the heliosphere as it consumes negative charge. Being mammals, hippos have breasts and milk is used as a metaphor to symbolize the nourishment of negative charge to an anode star. Because the Hippo consumes vast amounts of vegetation in the dark, producing high calorific milk it is therefore the perfect animal to describe the large consuming heliosphere, that has an electric field projecting negative charge to the anode star at its core. This is described in further detail by Taweret and the composite animal Ammit. The quadrupole magnetic moment of the heliospheric plasma sheath that exists within the heliosphere is described in further detail by Amentet. The Horned Viper named as Cerastes in 1768, by Austrian naturalist Nicolaus Laurenti. The special characteristic of the Viper are its fangs, unlike the Cobra which spits its venom the Viper injects its venom via its fangs. The Viper has the most highly developed venom delivery apparatus of any snake, with a duct that carries the venom from the gland to the fang. In Vipers the groove is completely closed forming a hypodermic needle like tube, in other species the grooves are not closed, or only partially covered. When the Viper bites, the jaws close and the muscles surrounding the gland contract, causing venom to be injected via the fangs. The hieroglyphs use this special characteristic of the Viper to describe many electrical phenomenon in the Universe. Examples range from describing how Birkeland Currents and Pyramids are used perforate and inject charge into double layers surrounding celestial bodies to its use when naming Tefnut describing how clouds are created. The Swallow defines the Electric Field. It is used to describe the electric field that projects negative charge to the anode, for example when powering stars - as explained in Nefertari's Tomb. The Ancient Greeks call the Swallow χελιδών, literally meaning χελι (Eel) δων (giving). Eels and catfish or rays were known by Aristotle for their electric fields. 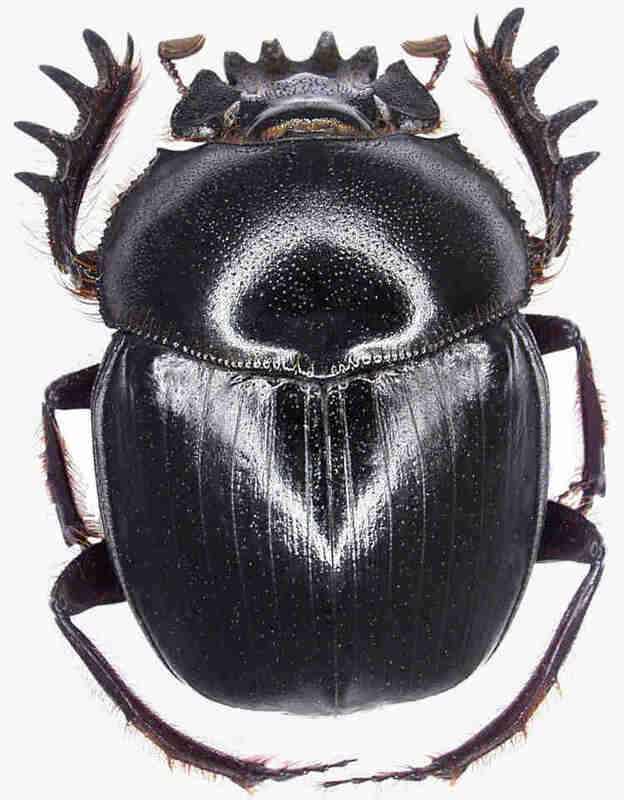 The Old World Dung Beetle known as Scarabaeus Satyrus. Often known as Kheperer, the Scarab Beetle defines Conduction, and is in contrast to Atum which defines Induction. Kheperer is often shown standing on the anode, positive charge hieroglyph and supporting or kissing the Sun showing how stars both conduct electricity and repel from one another. The Scarab Beetle is also shown traveling through the body of Nut in places like Dendera showing how charge is conducted along what is now called Birkeland Current streams in the cosmos. All moving charges create magnetic fields and Kheperer defines this, with magnetic force lines shown surrounding his body on various papyri. Grebennikov, a Russian scientist from the Crimea showed how the Beetle Wings conduct a charge causing them to levitate, as like charges repel and this is the special characteristic of the Scarab Beetle showing properties of conduction. In 2013 was the unveiling of hidden knowledge, what is also known as the apocalypse. 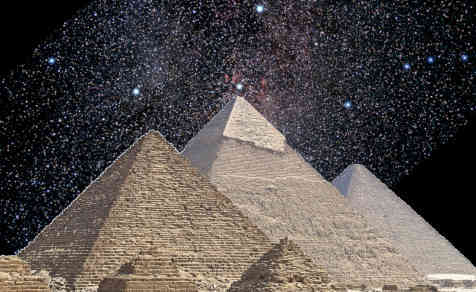 I deciphered the hieroglyphs for electricity and magnetism along with many other phenomenon that explain the universe. I showed how the sacred carvings from God known as the hieroglyphs are not a language of human phonetics, but instead are a sacred code that explain how the galaxies, stars and planets are truly powered. I deciphered the animals and plants used as hieroglyphs showing how their special characteristics explain functions and natural principles of the realm beyond. I showed how the earth was charged up using pyramids in order to maintain and support life, and even how the Galaxy and stars are powered electrically, being nourished with Gods negative charge electricity. Alignment of the Giza Plateau to the Orion Constellation & Diamagnetic Frog Jump, Luxor indicating the Charging of Planet Earth. I did all this and more for my true love who was mind controlled from me since University, what is a blasphemy of the Holy Spirit under Gods law upon the Earth. Also during the aftermath of the Christchurch man made earthquakes when Gods Electricity was coupled into for greed and iniquity. The Black Sun awaits this Babylon empire because it does not follow or respect true love upon the Earth. Please read about the Revelation of Jesus Christ and the Ἀποκάλυψις or unveiling of hidden knowledge. Judgement is coming soon. You are welcome to use the information deciphered freely at GodElectric, the only requirement is that you reference any ideas or material used.